Once you've decided that working with a producer will benefit your album, and it's time to audition talent, it can be difficult deciding who's right for the project. Producers are a dime a dozen these days, and if you don't know exactly what you're looking for, you'll find yourself lost amidst all the options. Don't fret! 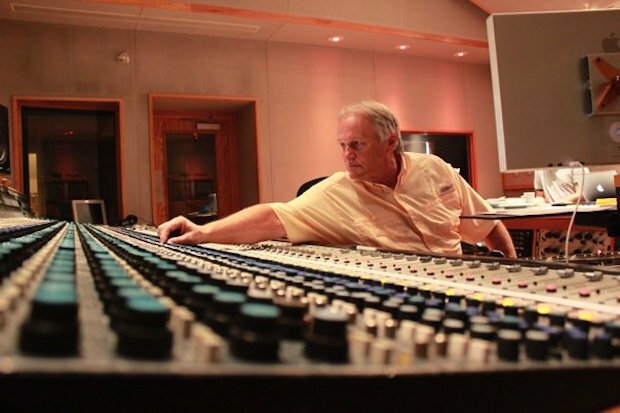 We've compiled a list of top traits to seek in choosing the best producer for your work. Let's start off by defining what a producer's role is. The producer of an album is the person who balances artistic considerations with the technical aspects of record making in hopes of delivering a competitive product within the commercial marketplace. The career is a complex cocktail with equal parts musical knowledge, historical context, and perception. To properly integrate all this data, a producer must exhibit excellent multi-tasking abilities, as well as be able to wear multiple hats and constantly change his or her perspective to remain objective. Below are some questions to ask prospective producers to help guide you through the interview process. 1. What's your working style? You'll want to know this because if someone is used to working in 12-hour sessions on weekends at large-console Hollywood studios, but you work best in intimate home-recording environments, you won't be compatible. Find out what type of studios they typically work in, if they have access to rehearsal spaces, and typical timelines and project pacing they prefer. 2. What's your musical background, if any? You don’t need to know your candidates' personal vinyl collections, but you want to have a good sense of the genre neighborhood they live in. Find out if they play any instruments or have knowledge of other styles than what you're familiar with. Versatility is golden when it comes to songwriting and finding sources of inspiration. A producer who is comfortable working with alternative rock but also has experience with soul grooves may offer you creative insight that can help give your record a competitive edge. Production is an ever-shifting craft, and it must be constantly studied. Producers should always be listening to music, both old and brand new, being experts of their main genre. You want to find out the type of sounds that get them hyped, and you'll want to have a general idea of the direction they'll push you in. Now that you've got a sense of who your candidates are, these are the top qualities to look for in their answers. A good producer will know when to speak and when to take everything in. If you're interviewing a candidate who seems to talk more about his past projects than ask about yours, he's probably not going to offer you the focus you deserve. The right producer will make you feel as if you're the only artist on his radar, even if he's juggling multiple projects at once. There's no room for ego in the control room. As an artist, you should steer clear of producers who are looking to establish themselves or promote their brand using your talent. You want a producer who shows you she knows music and understands industry trends, but doesn't try to sell you by talking about how much she knows. Actions don't always speak louder than words, but a proven track record of humility speaks volumes. Remember, the producer's job is to consistently bring out the best in you, not highlight her own success. A producer must understand the multitude of challenges in making a record, from the physical to the mental and emotional strains. Nevertheless, producers are the people who make it all come together, enforce deadlines, and keep everyone on track. You want someone who's keen on recognizing weaknesses, but able to quickly avert obstacles. Ask your producer about situations he's encountered in prior projects that hindered success, and how he overcame them. If a producer has heard your material, she should be able to immediately provide you with detailed feedback on what she sees for you as an artist, what she envisions, and what you lack. A great producer will be able to recognize a hit song from a rough demo, and you want to ensure the person you pick has a good ear. It's crucial that you seek out a producer who's tactful in presenting honest opinions, because this will motivate you to grow as an artist. Negative feedback isn't always easy to digest, so you'll want to find a producer who doesn't make you feel like giving up while giving you guidance. Ask potential hires what they hear in your songs, and what they'd like to hear from you. As an artist, you've decided to make music your life, and you've no doubt made sacrifices along the way to pursue your dreams. It's paramount that your producer genuinely loves music and wholeheartedly believes in you. You want a producer who's excited by your progress and eager to make your record come alive.